This hybrid has been a garden favorite for over 60 years. 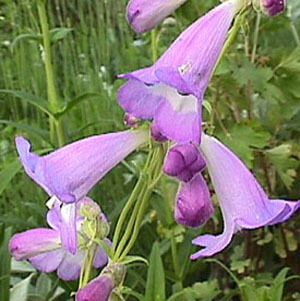 Its flowers are delicately colored violet with white throats. Nice in combination with other flowers shaded in violet, purple, or blue. Categories: All Items, all potted plants, bee nectar plants, fire resistant plants, hummingbird plants, Potted Plants, More..